Brand New! Canvas Ammo Bag holds 12 stages worth of ammo and is custom printed. 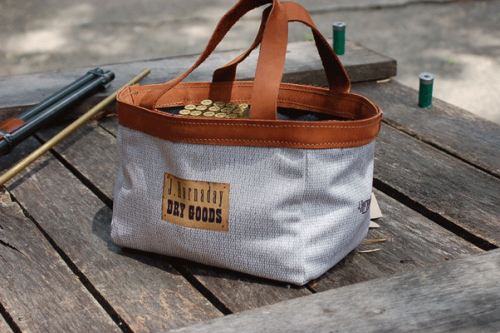 This premium canvas bag is trimmed in leather and is lined with denim to hide dirt. 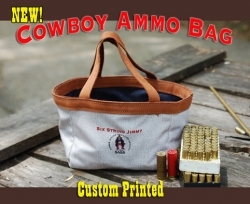 Holds enough ammo for two cowboys or 12 stages.